This site contains resources useful in the design of embedded systems. Designs created in an ECAD program may be electrically correct on the screen, but are ultimately constrained by the capabilities of your fabrication equipment. This tutorial walks through how to use the program DFM Now to verify that a design is able to be manufactured by the LPKF ProtoMat S63 in PRLTA 109. 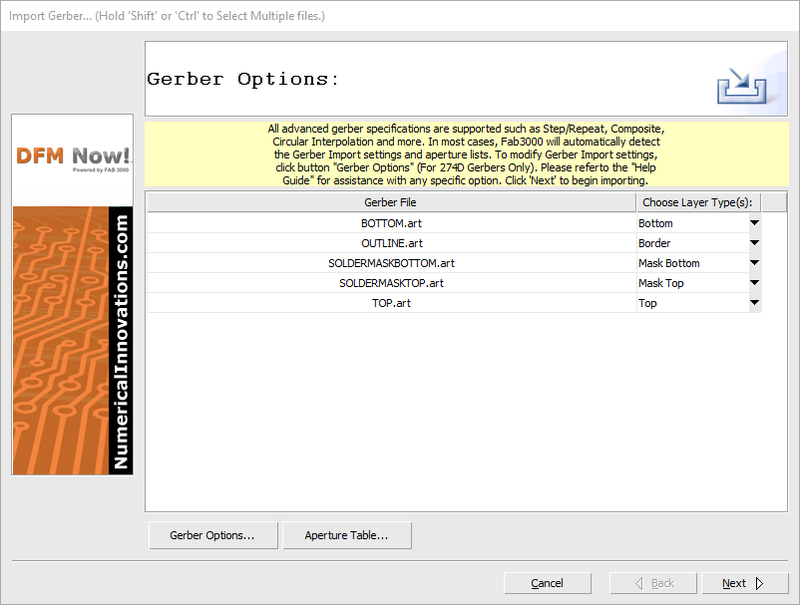 This tutorial requires that you have already exported Gerber files of your design from Cadence. The following video shows the process described in this tutorial from start to finish. 1. In Windows, launch DFM Now! 2. Choose Import > AutoLoad (Gerber/Drill)..., select the folder that contains the Gerber and drill files for your project, and click Next (see Figures 1 and 2). 5. Review your design and make sure all of the layers were loaded properly. 6. Choose DFM > DFM Rules Management... (see Figure 4). 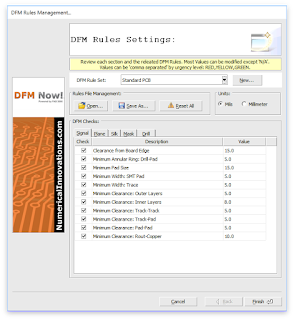 The DFM Rules Settings window will appear (see Figure 5). 7. In the DFM Rules Settings window under Rules File Management, click Open... and choose the Peralta Mill Spec.drf file that is saved to your hard drive. 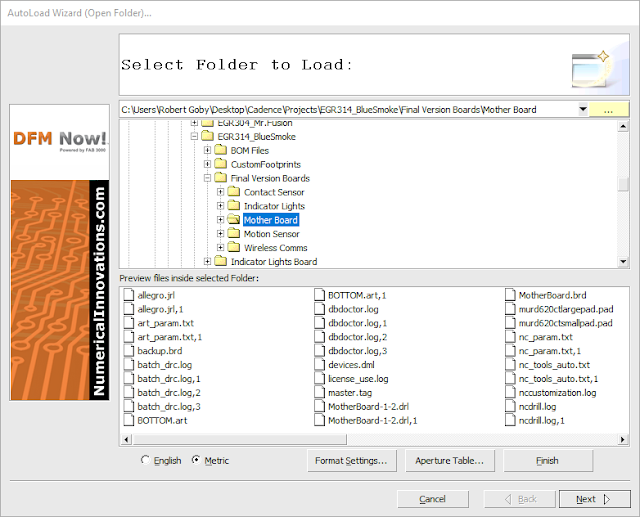 Under Rules File Management, click Save As... and save the rules so they are available next time you open the program. New DFM settings will appear in the Signal tab (see Figure 6). Click Finish. 8. Choose DFM > DFM Check.... 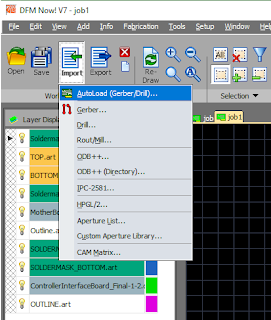 The General Settings window will appear (see Figure 7). Make sure that the DFM Rule Set is set to Peralta Mill Specs.drf and click Next to begin the design for manufacturing process. 9. Depending on the complexity of your board, the DFM check will take several seconds to several minutes to run. 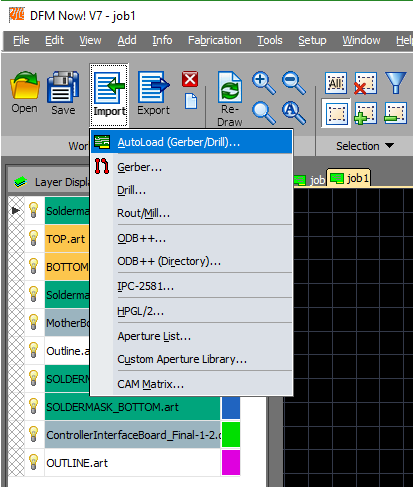 If it uncovers any errors, you will need to find and correct them within PCB Editor, re-export your Gerber files, and re-run the DFM Check on the new Gerber files. 11. Bring your computer to a TA or professor during office hours and show them the results of your DFM check to receive approval for submitting your PCB design to Peralta for milling. is an Associate Professor, electrical engineer, maker, and engineering education researcher. Great explanation point to point it was so helped me to understand easily. Did you review Optimatech that is a circuit board assembly services company that offers engineering design, manufacturability analyses, testing of functionality, trouble shooting, and much more. SHAWN JORDAN, Ph.D. is an Assistant Professor of engineering in the Ira A. Fulton Schools of Engineering at Arizona State University. He teaches context-centered electrical engineering and embedded systems design courses, and studies the use of context in both K-12 and undergraduate engineering design education. He received his Ph.D. in Engineering Education (2010) and M.S./B.S. in Electrical and Computer Engineering from Purdue University, and received a U.S. Presidential Early Career Award for Scientists and Engineers in 2017.